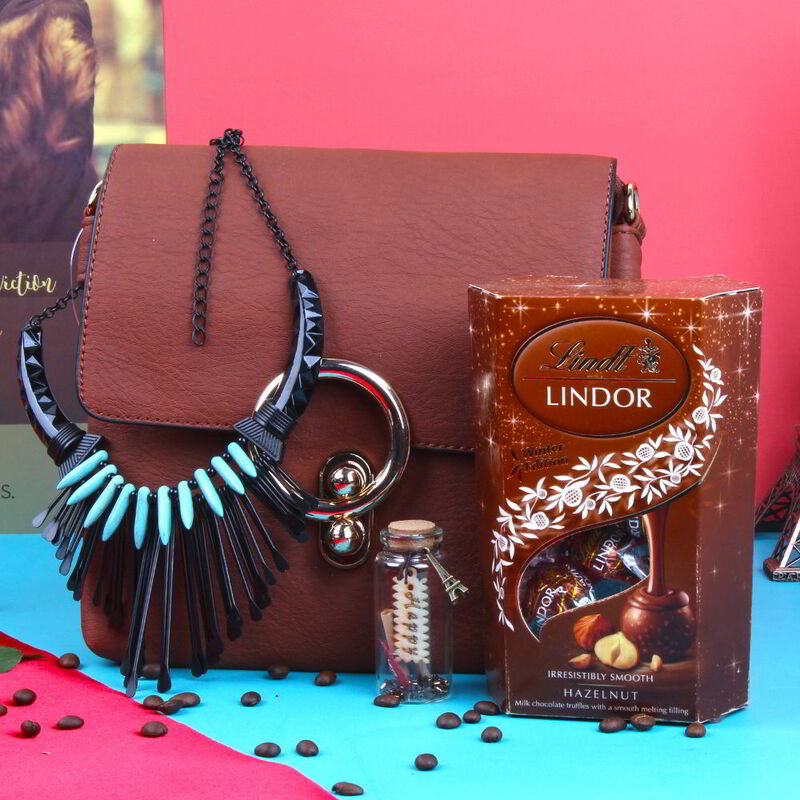 Product Consists : Lindt Lindor Hazelnut (Weight : 200 gms), Black Designer Western Neck Piece, Brown Sling Bag along with Customize Message Scroll Bottle (Special Instruction : Personalized Text for Message Scroll is accepted with maximum 25 Characters only). Make the most beautiful Valentine Day by sending this hamper. Impress your women with sweet lifelong memories gift hamper from yourself, by gifting this stunning combo of Romantic Valentine Gift Collection for Her to your loved ones. This is an incredible hamper for classy people who loved to received this type of charismatic combination products it will attract the attention and also you will be appreciated by your loved ones. Love gifts can be gifted for plentiful reasons meanings and special thing is with one mouse click you can order. Say Happy Valentine's day and if it is your first Valentine then you are much excited to be with your LOVE deliver this beautiful gift So he can be proud to be your Valentine. Make your dear men feel special by sending this perfect gift combo to her on any special occasion Like Valentine's Day, Birthday, Anniversary and Many more. This Romantic Valentine Gift Collection for Her gift is exclusively available at Giftacrossindia.com only. Browse your favorite products, it is very conveniently available for online shopping from anywhere in India with Free Shipping. 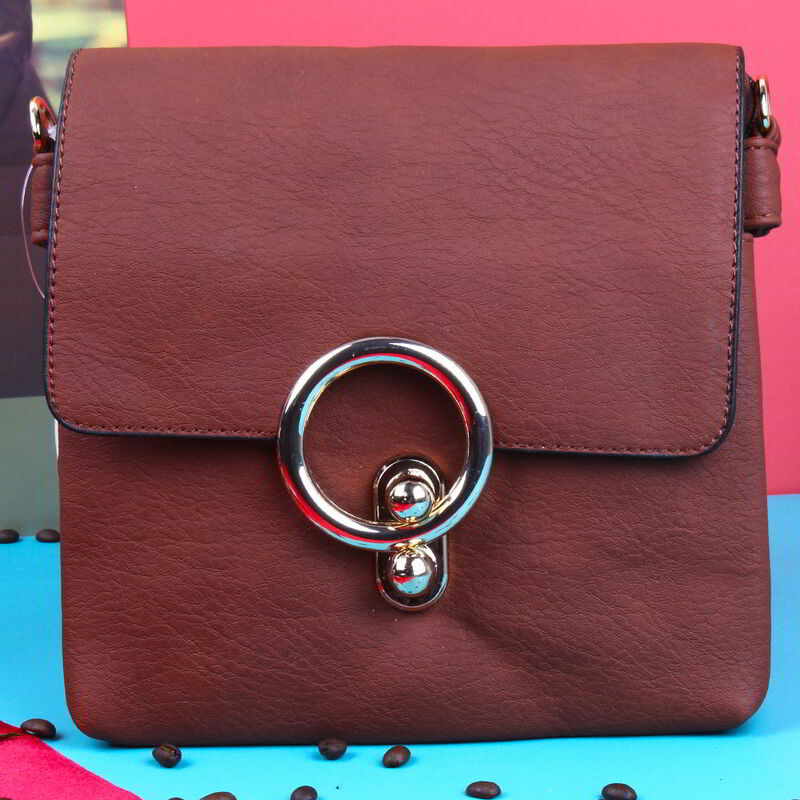 Product Includes : Lindt Lindor Hazelnut (Weight : 200 gms), Black Designer Western Neck Piece, Brown Sling Bag along with Customize Message Scroll Bottle (Special Instruction : Personalized Text for Message Scroll is accepted with maximum 25 Characters only).